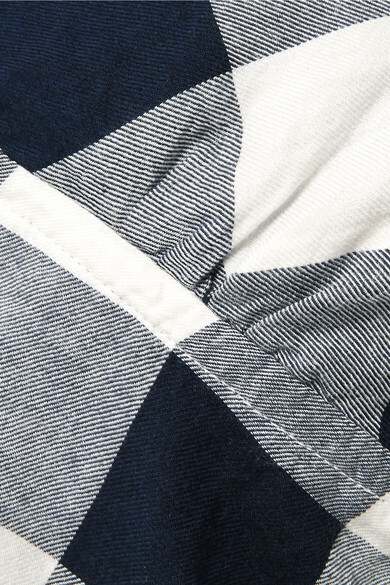 Rails' pajama set is made from super soft flannel patterned with midnight-blue and white checks. The camisole has a low-cut back and adjustable straps for the ideal fit, while the drawstring shorts are subtly trimmed with rickrack. Mix and match them with other pieces from the collection.